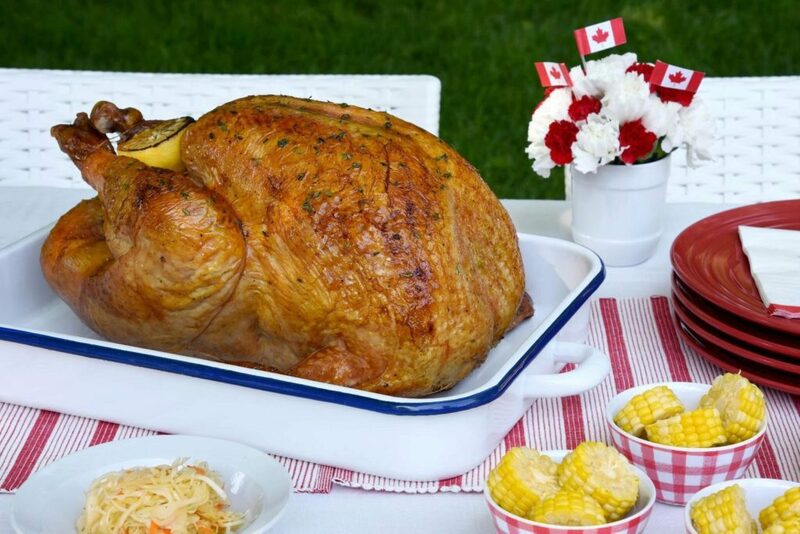 TIP: You can cook your turkey on a roasting pan to collect juices during cooking to make a quick gravy. Add 1 cup of liquid (water, turkey broth, wine or beer) to the pan during cooking. While the turkey is resting, strain juices, add 2 tbsp cornstarch and heat gently while stirring until gravy thickens. You may need to add more cornstarch to thicken to desired consistency. Combine all spices rub to create dry rub mix. Dry turkey, inside and out, with paper towels. Rub inside and out with olive oil. Season with salt and pepper to taste. 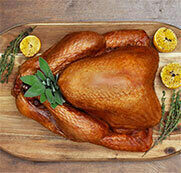 Generously season the turkey with dry rub, inside and out. Discard any remaining dry rub mix. Remove from the BBQ and let rest for at least 20 – 30 minutes.